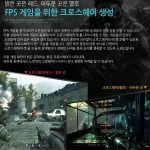 A few years back, I have compiled a list of Korean 27” 1440P monitors and wrote a bunch of information about them. It was a well-received article and rightfully so given the whole Korean monitor craze spreading like wildfire. Here I am again compiling some information regarding Korean monitors. This time around we are going bigger and more pixels. I am talking about 40” (39 ~ 42” to be more specific) 4K monitors that are not that cheap but definitely provides great value. Do note that some information might be incorrect due to the inaccuracy of the manufacturers’ given specifications. I have done my research looking out for users’ comments (people who have already purchased the products) throughout the internet and editing the different information as required. This explains the slight difference in the monitors’ marketing / advertising posters that you will see. Another thing to point out is that I only own the Crossover 44K (similar to the 404K just without HDMI 2.0 ports) and any comments that are published is through the collation of other users’ thoughts and reviews that are scattered around forums and websites. The only way you can run 4K @ 60Hz is either through HDMI 2.0 or DisplayPort 1.2. This means that your graphics card must have those output ports and not just the monitors having those inputs. The quality of the DisplayPort cable does matter and should you get one that is not certified, there is the possibility that you will not be able to drive 4K @ 60Hz using that particular cable. Do take note of this as some people are facing the issue of not being able to drive the native resolution of the monitor using the DP cable provided by the manufacturers. If that happens to you, do not panic and simply buy another one. All of the monitors are VESA compiliant. The AC adapter provided is rated at AC 100V~240V so no additional transformer is required. The sellers do provide adapters for the the head so you should be covered in that department as well. Some monitors come with a remote controller while others require you to purchase them separately (or simply does not come with any). Some monitors have variants (called “SE” or standard edition (?)) that are slightly cheaper. These variants are sometimes published with the same title but with a different description. You must pay attention to the differences as usually the cheaper variants exclude some ports such as HDMI 2.0 and whatnot. Do pay attention to the eBay listing or product page that describes the monitor specifications. I did not publish any prices of the products because prices often change and fluctuate over time. I did, however, put them relative to the Philips monitor as it is the only “international” company that has come out with such a monitor at the moment. It makes sense as well as these Korean monitors are the more budget alternative as compared to the Philips monitor. None of the monitors can overclock above 60Hz regardless of the resolution or the port you are using. You can purchase these monitors off a variety of platforms (GMarket, eBay, local retail stores in Korean, Amazon, etc). I have only provided the links to the Amazon product pages mainly because of Amazon’s customer service and support for buyers. It is much safer in my opinion to buy from Amazon. Do note that the monitors are sold at a slight premium on Amazon. Thus, for the cheapest price, do simply search the monitor name on eBay and get it through there if you wish. There are many different sellers for each of the monitor, choose one with the highest rating to be safe. Most of them should be fine and you have the protection from the platform anyways. The “warranty”, “exchange” and “refunds” are highly subjective and you must read the conditions laid out by the sellers properly. Even then, there are often misunderstandings that will result in less than desirable results. Do not worry though as if there are any dead on arrivals or heavily damaged products that land on your doorstep, all sellers will provide free refunds or pay for return and then issuing you with another. “Warranty” is usually conducted in a way that is not favourable for you. You will have to pay for the return shipping which will cost a lot due to the sheer size of the monitors. It is as such my advice to you that you make the purchase knowing that there will not be any warranty at all. Some sellers offer “perfect pixel” options. What this usually means is that the seller will open up the monitors and test them to see if there are any issues. You will have to pay a premium for such a service but they do give you some guarantees that are slightly better as compared to the normal option. I will be putting up some information about the Philips monitor despite it not being a Korean brand. 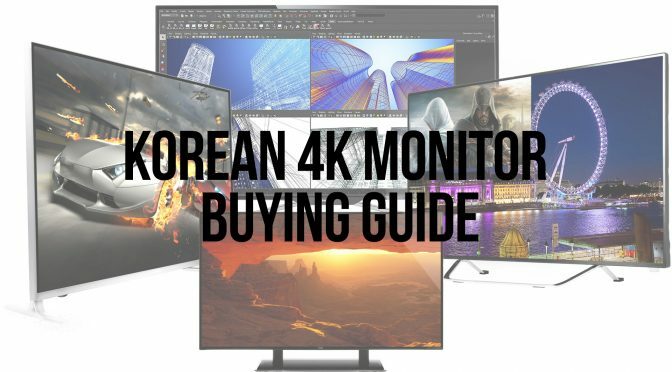 This is for you to compare and consider should you worry about the lack of warranty and after-sales support of the Korean monitors. If you spot any mistakes or have any other inputs, do leave a comment or simply email me to let me know. Would love to hear from you people as well. The BDM4065UC is the only known “international” 4K 40” PC monitor in the market at the moment. When I say “international”, I mean that you can probably get local support from Philips [insert your country here] and there is warranty for you to fall back on. There are plenty of reviews out there regarding the monitor so there is not much to be said about it (go read those technical reviews!). The really nice thing about the monitor is the additional USB hub. Do note that the monitor does use PWM (Pulse Width Modulation) so for those of you who gets affected by it, do take that into account. The Crossover 404K is the newer revision of the 44K, replacing the HDMI 1.4a input ports with HDMI 2.0 ports. This allows you to output 4K resolution at 60Hz using not just the DisplayPorts but also the HDMI 2.0 ports. From what I have gathered, the panel is the same as the one used on the Philips. The good thing about the 404K is that it does not use PWM and it is one of the more trusted Korean brands out there (at least for their 27” 1440P monitors back then). I am currently using the 44K and I absolutely love it. When compared to the Philips monitor, it is 25% cheaper; same quality panel just without the warranty and support. The A399U is the cheapest of the lot and it still comes with the newer HDMI 2.0 port. A pro/con about this particular monitor is that it has a tempered glass covering the display. Some of you may like it while others run from all that reflective glossiness. I do remember reading of one user who removed the glass but I definitely do not advice the majority of you to try that. Besides, it is only 30% cheaper than the Philips monitor and it uses PWM. To save all the trouble just get the 404K should you hate glossy finish on your monitor. Yes, the company’s name is “Wasabi Mango”. The UHD420 is the largest monitor of this list spanning 42” diagonally; it is also the only one that uses an AH-IPS panel. It costs pretty much the same as the Philips monitor but it comes with a supposedly “superior” panel in that sense. IPS panels are known to be richer in colour reproduction as compared to VA panels. The pixel density on a 42” monitor at 4K resolution is fine and everything will look sharp and crisp. In fact, for those of you who actually thinks that 1440P resolution at 27” is way too high might actually enjoy a 42” 4K display more than a 40” one. I have not gotten one to compare with my 44K so I am not sure if the AH-IPS panel would be all that worth the extra cash. Besides coming from a 1440P IPS panel, I did not find the VA panel on the 44K to be any worse. 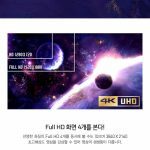 Do take note that there are sellers selling the cheaper version of the UHD420. This version does not have HDMI2.0 and might have other minor components taken out from monitor. Do read the listings carefully. There are many other options to consider besides the monitors that I have listed. 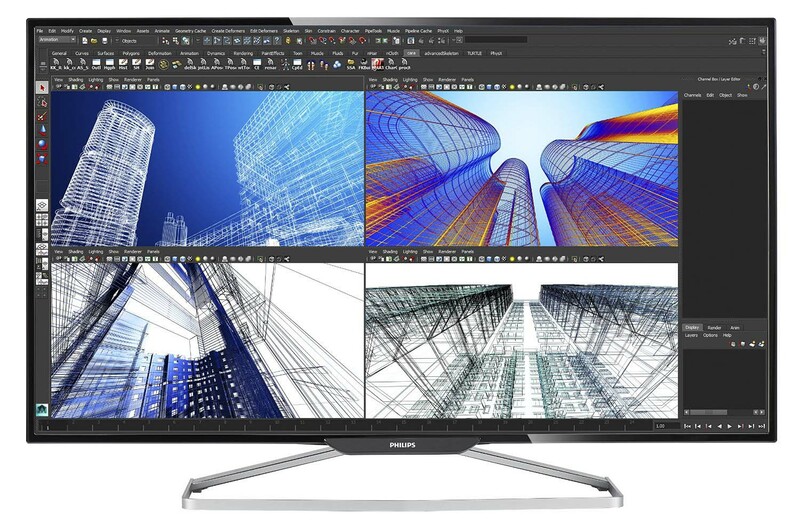 Most of the other options are much larger monitors such as the Crossover 494K (49”) and the Wasabi Mango UHD550 (55”). All these larger monitors do have an AH-IPS panel but I think that it is simply too large for the resolution that it supports (3840×2160). 4K resolution at 40” results in roughly 110.15 PPI. I have seen and like monitors up to 1440P at 32” (91.79PPI). Anything lower than 90 PPI becomes slightly blurry and unappealing (at least for me). Hence, I do not recommend any display that are more than 49” (4K gives 89.91PPI). 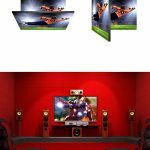 Some of you may wonder about using 4K TVs as your primary display and that is perfectly fine should it support the full colour reproduction and 60Hz refresh rate. What I mean by this is that many 4K TVs (especially the older ones) do not support 4:4:4 chroma sampling at 4K@60Hz (check if your current display is running at 4:4:4 chroma sampling). This is extremely crucial as images will not look their best when running at a lower sampling rate. Do consult the TV specifications manual before committing. What I do know is that the newer Samsung TVs do support it but they cost a lot more than the monitors that I touched on. There are many other TV brands out there that are starting to support it but suffers from the same issue as the Samsung TVs: cost. Here are some links that will provide you with more comments and feedback regarding the monitors discussed. For those of you look for display performance of the Korean monitors, do simply look at the Philips monitor review. It costs a lot more as compared to the rest of the monitors listed here. 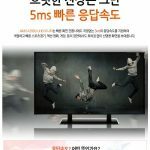 The main reason for this post is to go for a “generic” korean branded monitor to save the cost that you will pay when you go for a named brand.